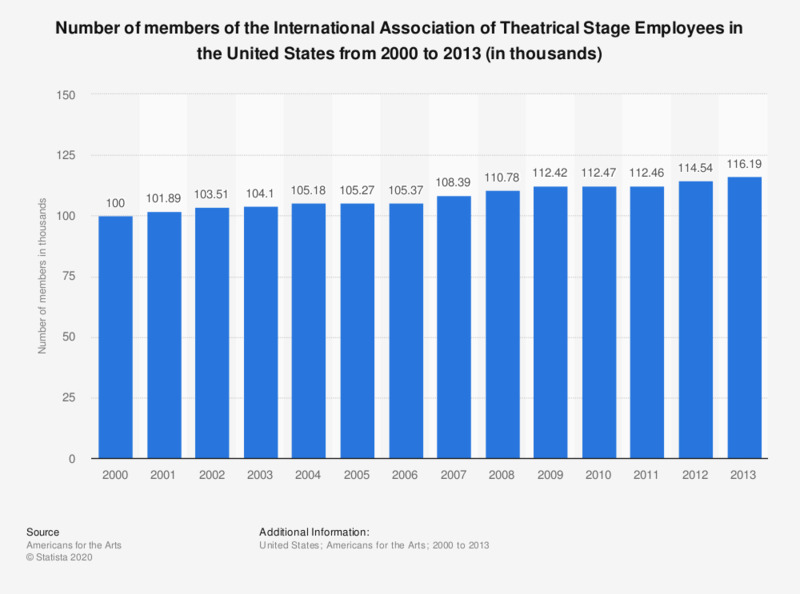 This statistic shows the number of members of the International Association of Theatrical Stage Employees in the United States from 2000 to 2013. In 2013, there were approximately 116.19 thousand members of the International Association of Theatrical Stage Employees. The International Alliance of Theatrical Stage Employees (IATSE) is the labor union representing technicians, artisans and craftspersons in the entertainment industry, including live theatre, motion picture and television production, and trade shows.